How to know CPU frequency? I'm running Ubuntu 16.04. How can I find out what frequency my computer's CPU has? I just need to know the CPU frequency according to the manufacturer and the real CPU frequency I have. Are there some terminal commands allowing that? It is because of Turbo boost? 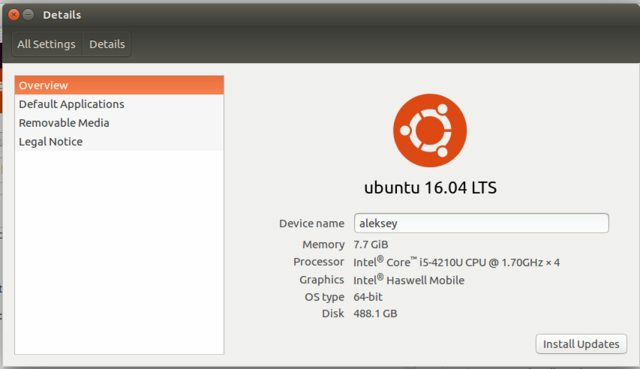 The command lscpu gives you info about your CPU. and shows you your CPU's current frequency, its maximum frequency, and its minimum frequency. Note that the maximum frequency lscpu can be higher than the rated frequency. This is due to Turbo Boost. The first answer is a great one. The OP asked for "some" terminal commands. I'll throw in some extras, because every question can have many answers. You can shorten the above output by replacing * with a given CPU number such as 0 for the first CPU or 7 for the last CPU (on an 8 CPU system). Once again you can replace * with a given CPU number to shorten output. Not the answer you're looking for? Browse other questions tagged 14.04 cpu or ask your own question. CPU scaling: how can current frequency be out of min-max range?